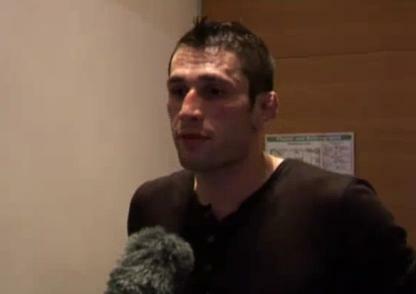 The Ultimate Fighter season seven winner, Amir Sadollah talks to the furry microphone about his unanimous decision victory over Peter Sobotta at UFC 122, Saturday night in Oberhausen, Germany. Sadollah feels the fact he was the much busier fighter had a lot to do with him winning the fight. Also, Sadollah said he would love to fight in it it if the UFC held an eight-man tournament.